보스턴, 미국의 백팩커스 호스텔 & 펍 | 호스텔월드에서 예약하세요. Really clean, great staff, serve breakfast and great security. it's little bit far from Boston. But they run a shuttle for Orange line subway every 30 min. if you're not gonna use shuttle, you have to take a bus to subway station. And sometime, weird people in there. But it's okay because all the room need a card key to open. In Boston, in this price, here will be great choice. 위치는 downtown 에서 거리가 있지만 그래도 지하철과 무료셔틀과 99번 버스로 충분히 커버할 수 있습니다 . 30분만 서두르시면 충분합니다 직원도 친절하고 아침도 괜찮습니다 . 또한 굳이 셔틀 시간이 아니더라도 요청하면 태워줍니다. 이 점에 대단히 감사드립니다. 그러나 빨래비용이 $8으로 높은 편이고 저는 보조배터리를 도둑맞았습니다. 도둑을 맞은게 호스텔의 잘못은 아니지만 보안에 유의할 필요가 있습니다. 1. 위치 : 우선 south station에서 멀어요. 공항에서는 1시간 정도 거리에 있고 지하철 내려서 버스가 금방 안 올때 많이 기다려야 했어요. 2. 침대 커버, 이불 속에 둘 얇은 흰 천 2개랑 베캐 커버 1개 주는데 고무줄 달린 커버가 아니라서 잘 때 움직이면 같이 움직이고요. 침대가 비닐 커버로 되어있어서 촉감이...물론 천이면 더 찝찝하겠지만요..스프링이 정말...허리가 아프네요...침대 프레임도 소리나고...그냥 잠귀 둔하고 잠자리 안 가리시는 분은 괜찮겠지만...ㅜㅜ 3. 여자분이시면 절대 혼자서 이른 아침이나 밤늦게 여기 오지 마세요. 우선 동네가 한적해서 지하철 내려서 갈아타는 것도 그렇고 픽업해준다해도 혹시 시간 안 맞으면 버스 타야 할 수도 있으니 권하지 않습니다. 4. 저희 갈 때도 동양인은 저희 밖에 없었고 픽업해주시는 아저씨는 친절하셨지만 스텝은 일부 스텝만 친절해요. 5. 일찍 예약하셔서 역 근처에 잡으세요. 가격도 별차이 안 나요. This hostel is terrible. 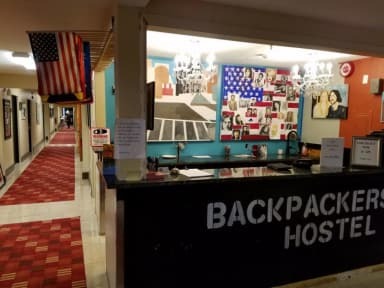 I paid the hostel fee when I check-in. 2 days later, They made my card payment of 43.50 USD without any explanation. I checked out with room key and bed sheet. A worker who were the front desk said just thank you. There were no problems when I check- out. I don't understand why they charge additional fee. Besided this hostel is too far from the downtown. 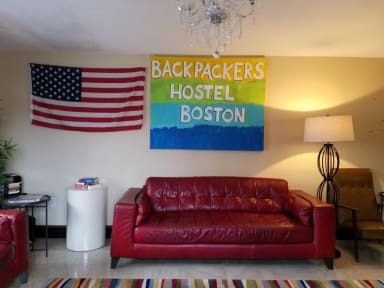 If you are the first visitor in Boston, It will be hard to find the hostel.